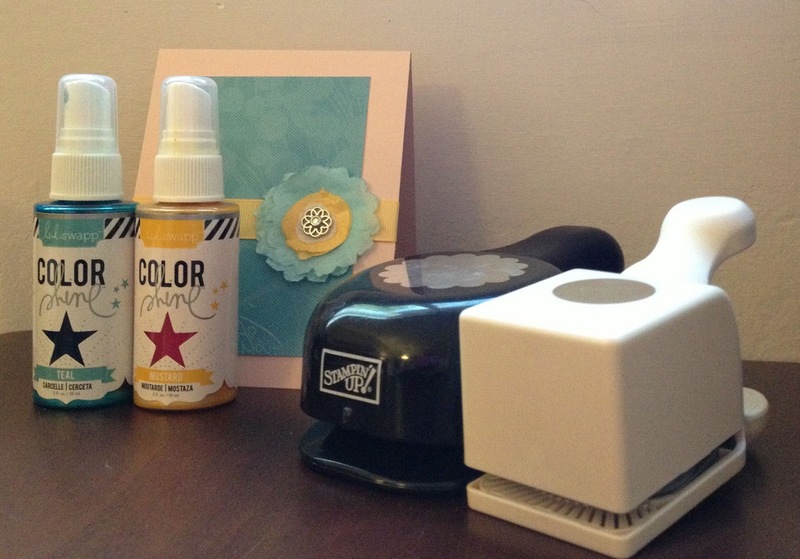 The May/June issue of Paper Crafts magazine showcases cards using supplies from your kitchen. It inspired my to make a flower using coffee filters. First I punches out some scallop circles and one inch circles. Then I generously misted them with the Color Shine spray. I gave then lots of time to dry before I layered them into a flower with a brad. 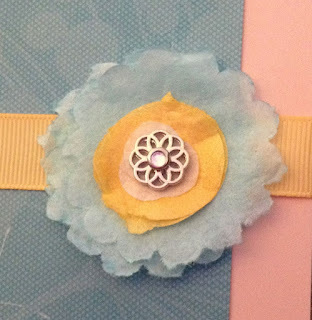 I used an OWH sketch to assemble a simple card with some of my favorite paper and ribbon. This is part of my "homework" for my June Stamp Club. 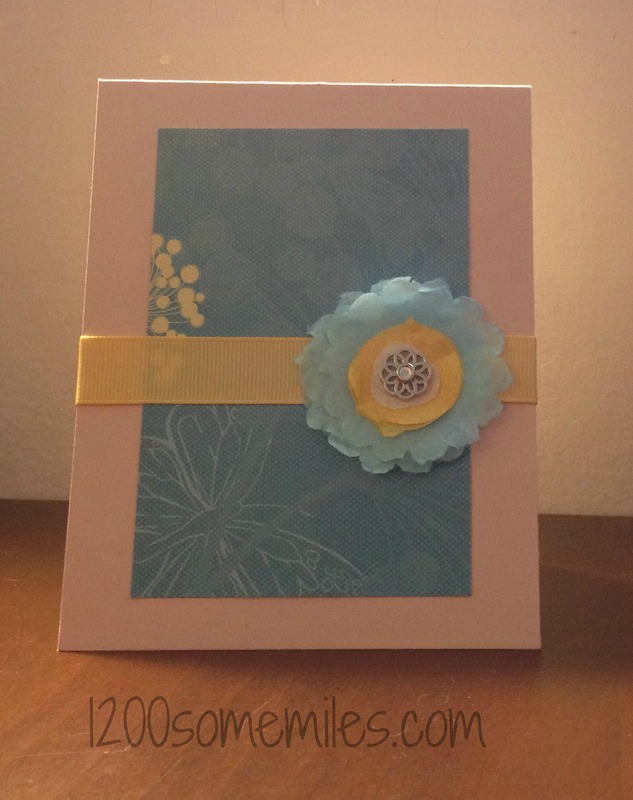 I am adding this card to the Simon Says Stamp "Anything Goes" challenge. Very creative and pretty, Sara -- I'm so impressed! Cute - you've reminded me that I could change the color of bunches of white flowers I have sitting around and get them put to use too - before I go raid the kitchen for filters. Thanks! Cute! I have a million flowers already that I need to use up, but this definitely gives a different look to a flower (and a good chance to play with mist! ).